This week, the Financial Conduct Authority released updated advice on how firms can prepare for Brexit. If your tolerance for the B-word hasn’t yet been exhausted, read on to find out what preparations you should be making. What areas has the FCA updated on? Yesterday (13 December) the regulator provided an update on preparing your firm for Brexit. The updates provide additional information. Brexit will result in the loss of ‘passporting’ for UK firms doing business in the EEA. The passporting rules mean that if a firm is authorised to undertake certain activities by the regulator of one EU member state, it can apply for a ‘passport’ that enables it to do business throughout the EU without needing further authorisation. Firms therefore need to consider what permissions they might need to continue to do business in the EEA, and ensure they put in place appropriate contingency plans to allow them to achieve this. 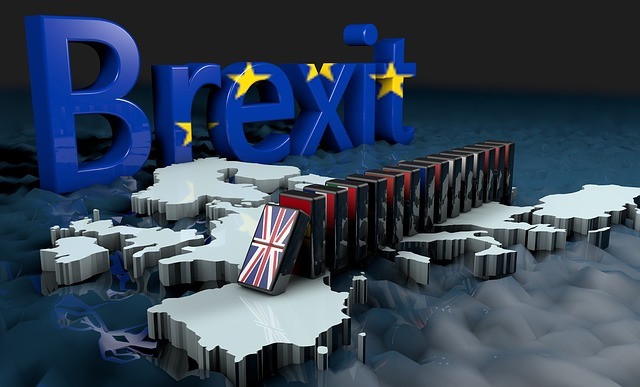 If March 2019 sees a ‘no deal’ exit for the UK, the FCA notes that ‘the loss of passporting could create a “cliff edge” for UK firms who need to carry on servicing customers under existing contracts’. Will you need regulatory permissions in the local EEA jurisdiction to continue to service your customers? This will depend on the activity your firm is carrying out as well as the local law and the approach of the local authorities in that jurisdiction. What do firms need to do here? Firms will need a continency plan in case of a no deal scenario. The FCA advises firms to ‘decide on your approach to servicing customers under existing contracts, taking the steps available to you to continue to service customers in accordance with local law and local regulators’ expectations’. It reminds firms that their ‘decisions need to be guided by what is the right outcome for your customers’. Firms must ‘treat customers fairly, irrespective of where those customers are based’. The regulator believes that a poorer outcome, in many cases, would be for a firm to simply stop servicing consumers in a certain jurisdiction. In some instances, doing so could elicit ‘significant consumer harm’ – for example, if stopping service meant that payments customers were entitled to were withheld. Firms need to consider whether they transfer personal data between the UK and the European Economic Area (EEA). If the UK leaves the EU without a withdrawal agreement, the Government has stated that the UK will continue to allow the free flow of data from the UK to the EEA after 29 March 2019. However, there has been no clarity on the position for transfers of personal data from the EEA to the UK. The FCA states its belief that a central approach is the best solution here. It believes that ‘Timely action by UK and EU authorities is needed fully to mitigate the risks associated with transfers of personal data’. However, the EU Commission stated on 13 November 2018 that an adequacy decision of the UK data protection regime is not part of its contingency planning. Making contingency plans here therefore falls to firms themselves. what risks they may be exposed to if there is no complete central solution to allow transfer of personal data between the EEA and the UK to continue, and what steps they can take to mitigate any risks they may face. The FCA makes the point that, although it has an interest in ensuring firms plan appropriately for Brexit-related data risks, the Information Commissioner’s Office is the regulator for data protection issues in the UK. The ICO has webpages exploring data protection and Brexit specifically, which are worth familiarising yourself with. Firms may also want to consider taking legal advice if they believe this issue will affect them. The regulator reiterates that it expects firms to contact their customers if they are affected by Brexit. The consumer information it has published, detailing how Brexit might affect consumers has made it clear that firms are expected to contact their clients and customers to discuss the relevant issues. In line with the FCA’s Handbook and principles, firms are required to communicate with customers in a way that’s fair, clear and not misleading. You should be able to ‘demonstrate you have considered how Brexit, and your plans in relation to Brexit, may affect your clients, keeping in mind that different categories of client might be impacted in different ways’. You should contact any groups of consumers that are impacted by Brexit to explain clearly how they are or will be affected. Communications should be timely, to allow for the time consumers may need to make any decisions. And it’s not just direct, ‘push’ communications that you should consider. You need to think about the information you make available for consumers to access (for example on your website) and make sure you can answer any customer queries ‘accurately, fairly, clearly and promptly’. It’s highly likely, the FCA points out, that you may ‘start to receive a significant increase in consumer queries’, and you should make plans for that. While the details of the UK’s departure from the EU may be work in progress, the FCA is clear that firms need to start making preparations, particularly in case we end up with a no deal exit. Whether it’s making operational plans for data sharing, or working with your Marketing and Communications team to develop customer messages, there is much for Compliance to do in the run up to March 2019.